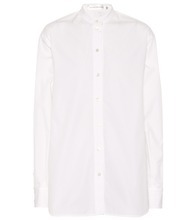 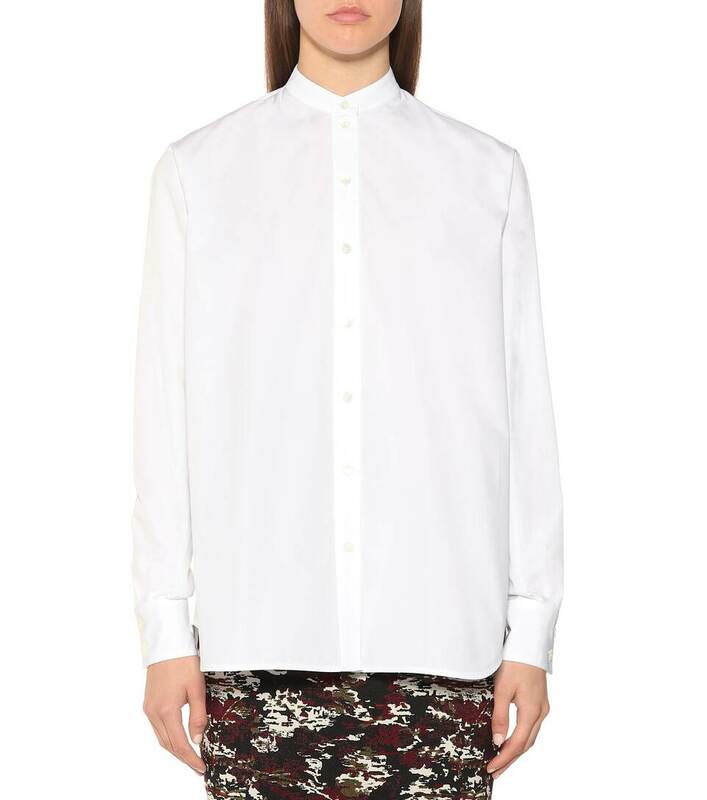 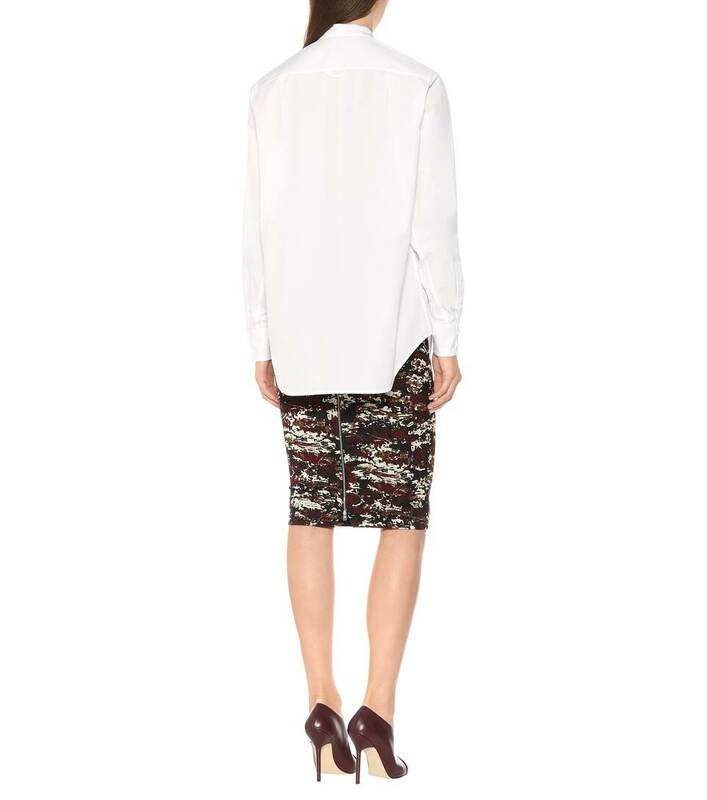 A plain white shirt needn't lack fashion prowess, as demonstrated by Victoria Beckham. 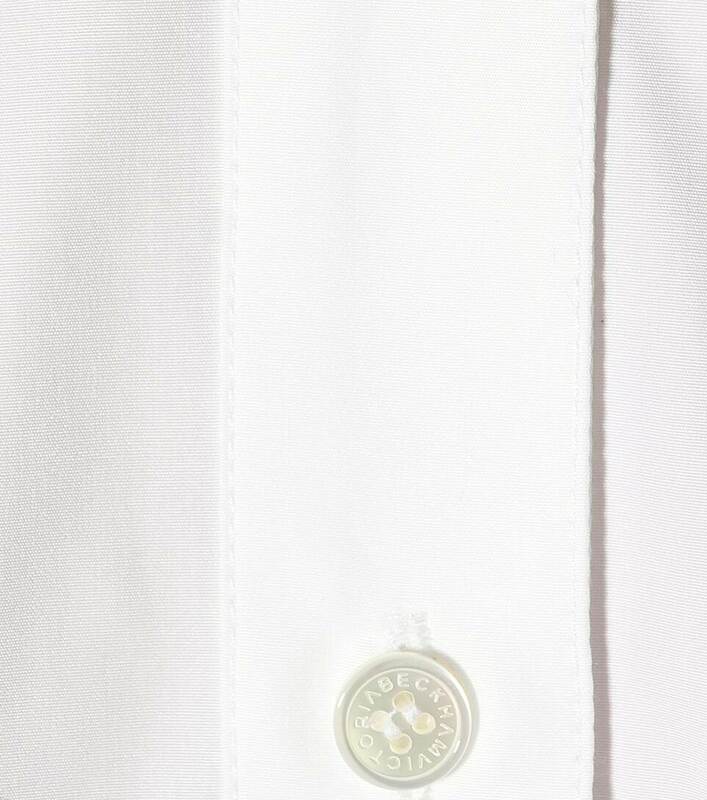 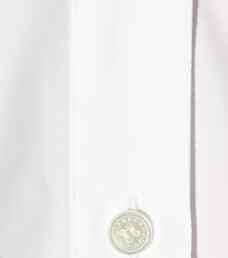 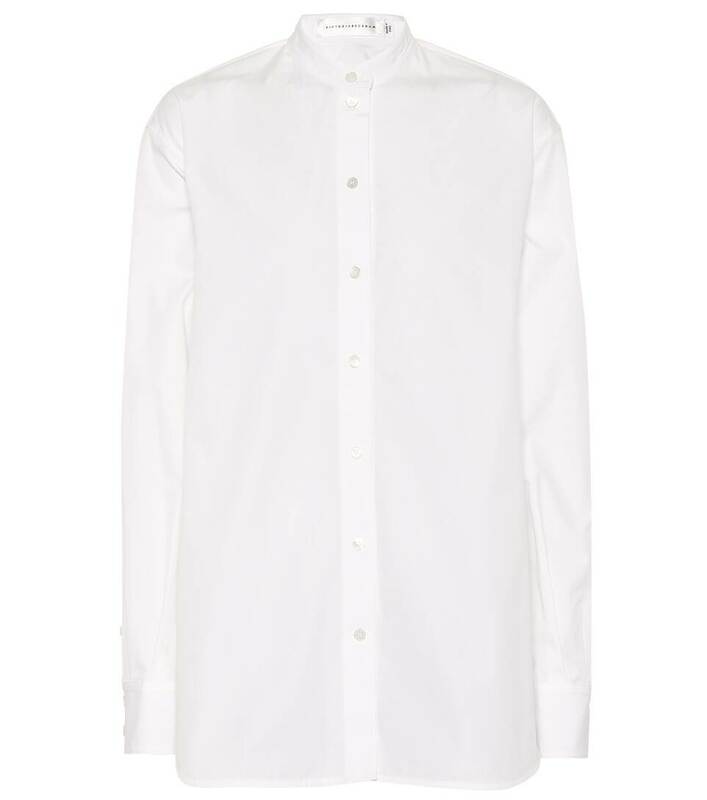 Crafted in Italy from crisp cotton, this piece has a mandarin collar that cleanly frames the neck, and mother of pearl buttons for a luxe touch. 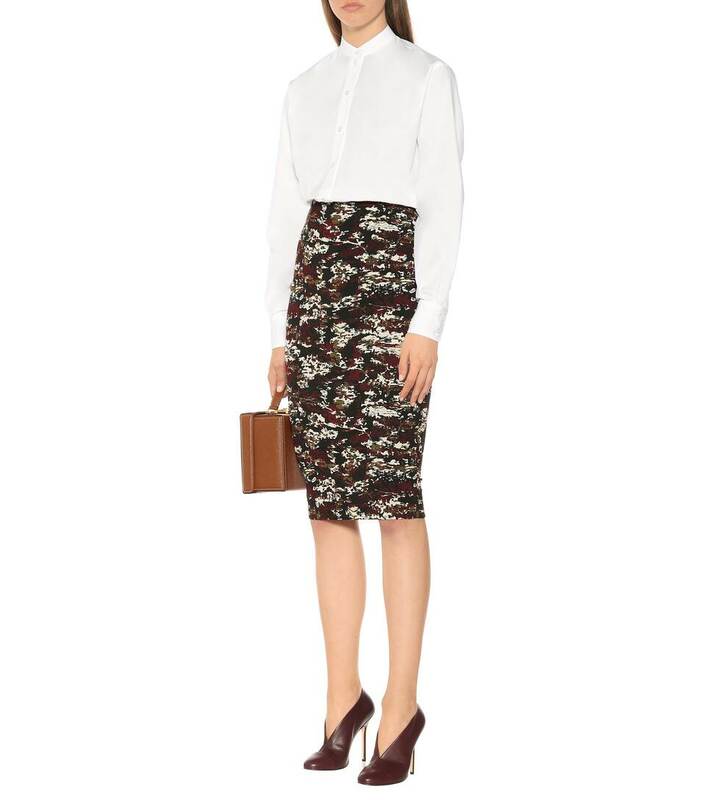 Tuck yours into a polished pencil skirt for a look that shows the world who's the boss.